Nanci Hersh participated in the Under the Influence show in Fall 2016 at Village West. Hersh is an award winning artist, illustrator, teaching artist, and advocate for the arts. She uses her art to hold parts of life and find the threads that entwine our experiences to examine identity, create meaning and build community. Working both two and three dimensionally, her practice engages a variety of materials to give physical form to personal experiences involving home and family, breast cancer, and aging. 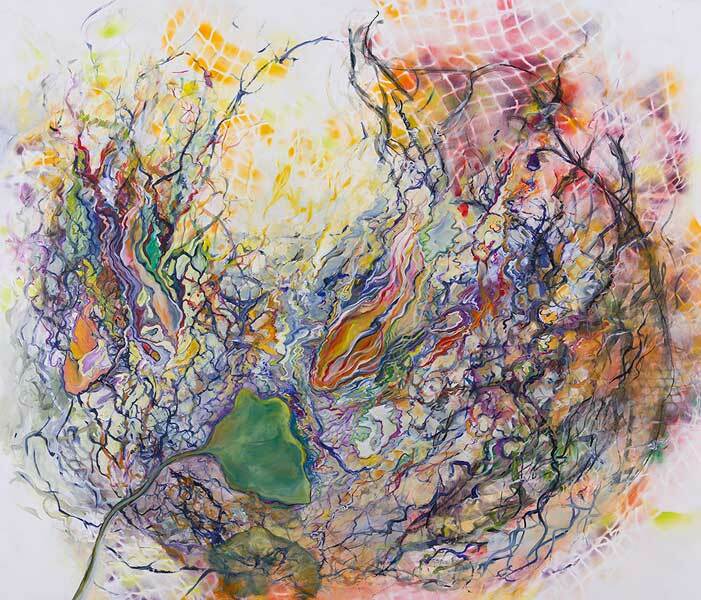 Her work has been exhibited throughout the United States including "Eons Beyond the Rib," at Seraphin Gallery in Philadelphia, PA, "Navigation Puzzle," at the Delaware Center for the Contemporary Arts, "Paper Work", at the Trenton City Museum at Ellarslie and "The Demoiselles Revisited" at Francis M. Naumann Fine Art, NYC, along with solo exhibitions in PA, NJ, DE, and Hawaii. Nanci has received numerous honors including three purchase awards from the Hawaii State Foundation of Culture and the Arts, and two Leeway Foundation Art & Change Grants. Her work is included in the Public Collections of Johnson & Johnson, Herspace Breast Imaging, Leland Portland Cement, and OSI Pharmaceuticals to name a few. Nanci Hersh lives in Landenberg, PA with her husband, Scott Dight, and two sons, Griffin and Nate. For more information, please visit www.nancihersh.com.